All right, this is as good as Star Trek gets on the big screen. For anyone who thinks science fiction isn’t capable of compelling drama, let them watch this film and recant. Star Trek II: The Wrath of Khan is a clever follow up to one of the original series’ best episodes, Space Seed (which is also available on Blu-ray in the Star Trek: The Original Series box set). In that episode, the Enterprise found an old ship adrift in deep space, full of genetically engineered supermen in suspended animation. It turned out that they were warlords who almost destroyed the Earth during the Eugenics Wars (back in the 1990s). They eventually fled the planet to avoid persecution for their crimes. Their leader was Khan Noonien Singh (played by Ricardo Montalban). When Captain Kirk and his crew attempted to revive and rescue them, Khan led his men in an attempt to hijack the Enterprise in a bid to conquer the galaxy. But Kirk and Spock managed to foil the effort, and banished Khan and his people a planet called Ceti Alpha V, figuring that at least they could make a life there without harming others. But such was not the case. Six months after Khan and his people were left there, a neighboring planet exploded and changed the climate of Ceti Alpha V, rendering it a wasteland. Fifteen years later, and Khan and his people have barely managed to survive. Now Khan wants revenge against the man he holds responsible – Admiral James T. Kirk. And when the Starship USS Reliant arrives to survey the planet, not realizing that it’s Ceti Alpha V, Khan suddenly has the means to exact his vengeance. But the stakes are higher still, for Kirk and company are taking the Enterprise on a training cruise, with a batch of Starfleet Academy cadets aboard instead of an experienced crew, so they’re badly undermanned. And it turns out that the Reliant was involved in the testing of an experimental device, code-named Genesis, which has unthinkable power to create or destroy. Now that power that is about to fall into Khan’s hands, and Kirk and Spock may have to pay a high price indeed to stop him. If there’s one important thing to know about drama and conflict, it’s that great heroes require great villains. And there has been no better villain, in any incarnation of Star Trek, than Khan. Engineered for super intelligence and strength, he’s almost impossible to beat. As played by Montalban, he’s brooding, sly, witty and extremely dangerous. And William Shatner gives what I think is his best performance in this film as Kirk, matching Khan round for round, and blow for blow. Nicholas Meyer’s direction is perfect here, keeping the action moving with great style and infusing the film with a dark, dangerous atmosphere. This isn’t Star Trek: The Next Generation, where Starship bridges look like living rooms – this Enterprise is steeped in classic naval tradition, and feels like a ship capable of making peace or war. The terrific screenplay was written by Jack B. Sowards (he alone is credited), though Meyer made some contributions too. And the orchestral score by the late James Horner, who would eventually go on to score Titanic, Braveheart, and Apollo 13, is absolutely thrilling. This is rousing stuff. The original theatrical cut of this film runs 112 minutes and was released on Blu-ray in 2009. The Director’s Cut runs 116 minutes and this is its first appearance on disc in high-definition. The DC, which was first created by Meyer for the 2002 DVD release, incorporates a number of small scene additions, many of which were first seen during the film’s original TV broadcast on ABC. I should note that (for its presentation here) Meyer actually requested that one small change be made to the DC: Before the final battle in the Mutara Nebula, there’s a brief scene where Kirk, Spock, and Saavik are climbing the Jeffries tubes back up to the Bridge. On the DVD, there was a bit of dialogue here in which Kirk tells Spock (of David): “That boy is my son.” To which Spock replied: “Fascinating.” The scene is still there, but Meyer requested that those two lines of dialogue be removed – just so you know. It’s not an error, it’s something the director wanted. Other than that, this is the Director’s Cut you’re familiar with. 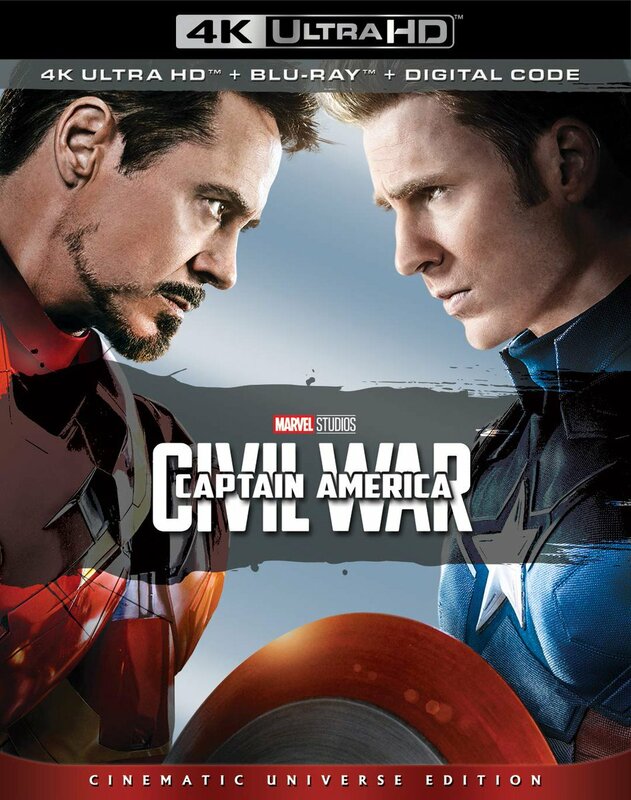 Both versions of the film are included on this Blu-ray via seamless branching – you simply choose which version of the film you wish to see when you select ‘Play’ from the menu. Let’s talk picture quality. As many of you will know, the theatrical cut of Star Trek II was remastered for the 2009 Blu-ray release in the Star Trek: The Original Motion Picture Collection boxed set (see my review here). In fact, Star Trek II was the only film in that set to receive a new transfer, so its picture quality stood head-and-shoulders above the rest of the films in that set. That remaster was completed from a then new scan of the negative (also in 4K, but of course technology has improved significantly in the years since). It featured moderate film grain, good overall detail, and excellent contrast, but the color timing did have a notable push towards the blue. So as good as it was then, it certainly had its issues by today’s standards. You’ll be thrilled to learn (as was I), that this new Blu-ray presentation improves on the 2009 BD image by a significant margin. One look at this presentation and I knew immediately that this was a brand new 4K scan of the film. Seriously, it took about five seconds to recognize the difference. Indeed, I’ve confirmed this with studio sources and have also confirmed that the transfer was personally supervised and approved by the director. What’s surprising here is that there’s a bit more fine detail visible and it’s more stable too. You’ll see it in little things like skin texture, fabric, and especially the pearlescent “Aztec” pattern on the hulls of Enterprise and Reliant (especially late in the film, as the lighting around the ships changes within the nebula). There’s still film grain visible, but it’s far more subtle now. Contrast is improved too, with a little bit more shadow detailing apparent in the darkest areas of the image. Most importantly, though, the color is much more accurate now – less blue to be sure and far more natural and pleasing. There can be no doubt whatsoever: This film has never looked better than it does on this Blu-ray. Period, end of story. Not much needs to be said about the audio quality on this Blu-ray, however. It’s essentially the same English 7.1 Dolby TrueHD mix that was available on the 2009 theatrical cut Blu-ray. It’s not up to the level of, say, a new Atmos mix produced for a similar science fiction film today, but it’s a very good lossless refreshing of the original theatrical audio mix. If you liked it in 2009, you’ll like it just as much now. Additional audio options are included in French 2.0 Dolby Digital, and Spanish and Portuguese Dolby Digital Mono, with subtitles in English, English SDH, French, Spanish, and Portuguese. In terms of extras, the only new inclusion is a documentary featurette called The Genesis Effect: Engineering The Wrath of Khan (28:21 – HD). Once it gets going, there’s a ton of good information and stories here. Among the new interviewees are director Nicholas Meyer, producer Robert Saalin, Mark Altman, post-production exec Ralph Winter, Larry Nemecek, John & Bjo Trimble, Adam Nimoy, Susan Sackett, film critic Scott Mantz, Enterprise writers David A. Goodman and Michael Sussman, Bobak Ferdowski (JPL’s infamous “Mohawk“ guy), Big Bang Theory co-creator Bill Prady, and The Flash producer Gabrielle Stanton. I could have done with a few more production stories and a little less “Here’s what my first experience of seeing the film was like!” but that’s picking nits. I also quite liked the way the piece takes vintage B&W still photographs and creates 3D-layered moving images out of them – stylistically it’s a cool choice. The piece was produced by our old friend Roger Lay, Jr (if you’ve read my reviews of the recent Enterprise and Next Generation Blu-rays you should recognize his name immediately) and it’s a very nice addition to the already good extras for this film. In terms of legacy extras, you’ll be pleased to know that this Blu-ray carries over virtually everything that was on the previous Blu-ray set. You get both feature-length audio commentary tracks, one with Nicholas Meyer and the other with Meyer and Enterprise: Season 4 show runner Manny Coto (I personally love that second track, especially). The text commentary by Michael and Denise Okuda (from the 2002 DC DVD release) is included here – that’s a nice touch because I don’t believe it was included on the previous Blu-ray. Also available on the theatrical cut is the Library Computer interactive viewing mode. In terms of featurettes, all the previous Production segments are included here, among them Captain’s Log (27:21 – SD), Designing Khan (23:55 – SD), Original Interviews with Shatner, Nimoy, Deforest Kelley, Ricardo Montalban (10:57 – SD), Where No Man Has Gone Before: The Visual Effects of Star Trek II: The Wrath of Khan (18:15 – SD), and James Horner: Composing Genesis (9:33 – HD). So too are all the Star Trek Universe segments, including Collecting Star Trek’s Movie Relics (11:05 – HD – with Alec Peters, which is a tad ironic given recent events), A Novel Approach (28:56 – SD), and Starfleet Academy SCISEC Brief 002: Mystery Behind Ceti Alpha VI (3:07 – HD). All 13 Storyboard galleries are here as well (in HD, including Main Title Concept, Kobayashi Maru, Ceti Alpha V, Regula I, Chekov and Terrell Find Khan, Admiral’s Inspection, Khan’s Revenge, Kirk Strikes Back, Finding the Genesis Cave, The Mutara Nebula, Sneak Attack, Genesis, and Honored Dead). Finally, you get A Tribute to Ricardo Montalban (4:43 – HD) and the film’s theatrical trailer (in HD). The only thing that appears to be missing is the previous Blu-ray’s BD-Live access, but that’s no real loss. I guess if I had one tiny nit to pick, I would have appreciated a new tribute to the late Leonard Nimoy here, and I’m kind of surprised there isn’t one. If you’re a fan of Star Trek II and/or you’ve been collecting all of the previous Star Trek releases on Blu-ray, just buy this disc right now. Seriously. It’s what, like $23? Don’t even hesitate. You’ll lose nothing from the previous edition, you’ll gain a new extra, and (as I’ve said above) this film has simply never looked better than it does here. This disc is proof that Paramount can do a great damn job with Star Trek on disc when it sets its mind to. So I damn well hope that sales of this disc are strong enough to encourage the studio to finally down to the business of completing true remasters of all the other Star Trek feature films, including at long last the Star Trek: The Motion Picture – Director’s Edition. Because, boy… do they ever need it. One final comment: I’ve also confirmed once again that a new 4K DI was created with High Dynamic Range for a possible future Ultra HD release of Star Trek II: The Wrath of Khan – The Director’s Cut, though there’s been no decision made yet as to when it might be released. Let me tell you this: After seeing the quality of this remaster on standard Blu-ray, I am absolutely on the edge of my seat to get my hands on the 4K version. Hell, I’ll chase it ‘round the Moons of Nibia and ‘round the Antares maelstrom and ‘round Perdition’s flames before I give it up!